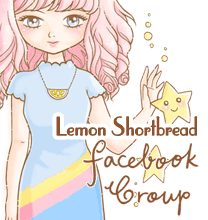 Pink Lemonade Stand by LemonShortbread: ONLINE SHOPPING DEALS, CASHBACK AND MORE WITH SHOPBACK! 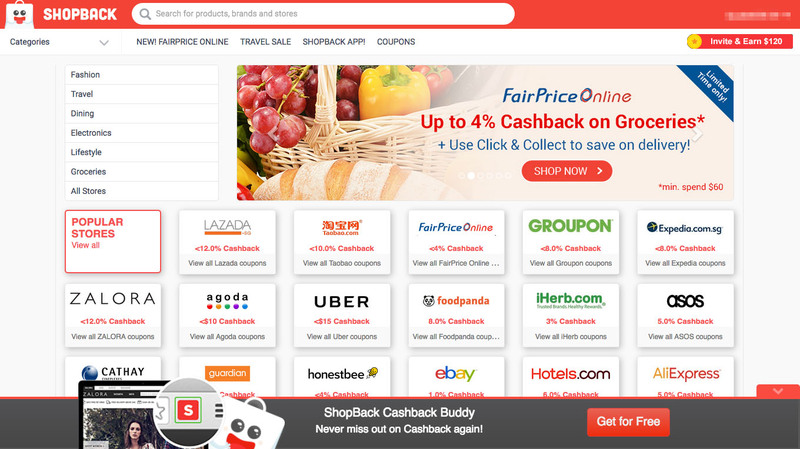 ONLINE SHOPPING DEALS, CASHBACK AND MORE WITH SHOPBACK! Ah yes the convenience of the internet!! Not only is e-shopping made cheaper, more time saving, and anything (well *almost* anything) can be purchased at the click of a button, now there are sites that provide $$$ back whenever you shop at major online retailers!! Wait... usually I only get cashback for in-person local transactions via my Mastercard? Or usually I hunt down coupons the old fashioned way for savings. I found out about ShopBack Singapore and here is my review! 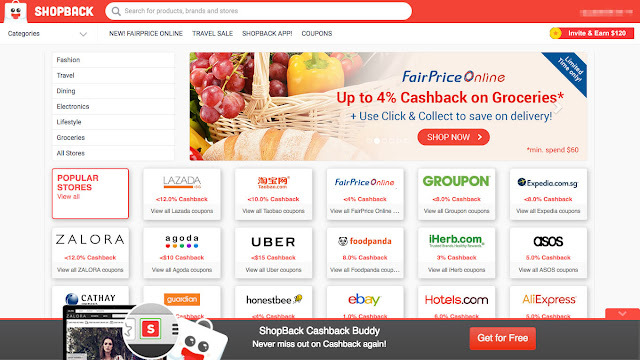 As mentioned above, this is a local site that provides cashback while you are shopping online. The best thing is they include international marketplaces! .... just to name a few. They have hundreds more if you look under their categories. - Verify your e-mail account and set up your account details. - Turn off ad-blocker if you have installed the add-on on your browser. - Clear the cache from your browser. - While logged in, click on the shopping links and copy coupon codes (if any) via the Shopback site, you should read the Terms and Conditions as each vendor has different rules. - You must shop WITHIN the new tab that has opened. - Avoid clicking on other links after this new tab, or Shopback will not be able to track your cookies. The last link you should click is Shopback's tab. - Shop away! Apply coupon (if any) and check out with payment. - Wait up to 48 hours for the vendor to process. Don't panic yet if you don't see anything reflected in your account, just be patient. 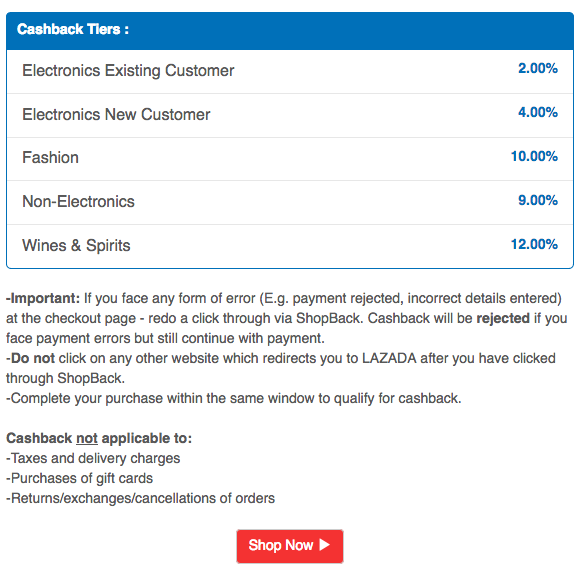 - If successful, your account in Shopback should reflect the cashback under 'My Cashback'. - They allow you to cashout for $10 and above, that's it! Read the full info in their Help Center if you run into any problems. If you are unsure, make a small purchase first and wait 48 hours to check if you did it right! So the first thing I tried was Ebay. 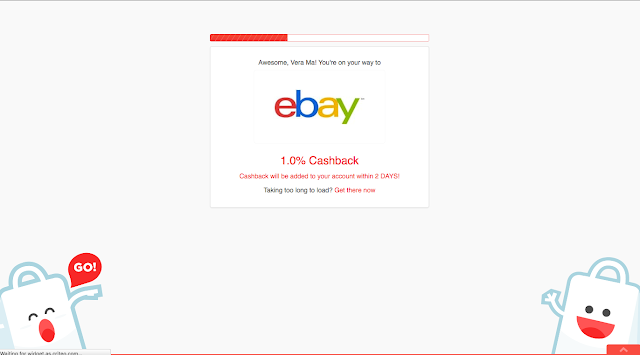 Find the Ebay's page on Shopback. Currently they offer 1% cashback. Their terms and conditions, it doesn't apply to certain categories. Wait for it to load and a new tab will appear. The Ebay address should read with an affiliate link on the back. I did not purchase from "my eBay" where I saved my favourites list. Not too sure if cashback would work here (maybe it might). Don't click on the eBay logo home button on the left, the affiliate link disappears and goes to Ebay.com which means it lost its tracking. If you did that, start over again from Shopback. Anyhow I used the default search bar to play safe. Found the listing, checked out with payment as usual. Nothing is reflected on my Shopback at first so I waited 2 days and there it is. I got back 37 cents, and it will be redeemable in 58 days, keep accumulating and withdraw after it hits the $10 threshold. The extra $5 is a bonus when you sign up and make your first purchase. To receive it, check your email, they should send another email after verification to prompt you to complete your profile and account. The bonus will be credited after 48 hours. 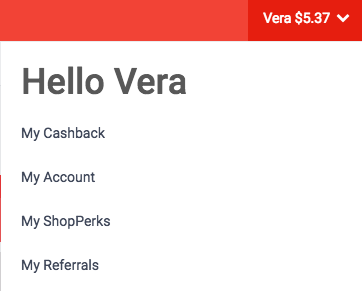 They have a Cashback Buddy add-on for Chrome & Safari browsers for easy access so you can tell if the cashback is activated/ available on the shopping site. I will install that. I used to pay a local 3rd party agent who tacked on freight and commission as I couldn't set up an Alipay account, but it looks like Taobao has now allowed Singapore & Malaysia accounts so you can create your own Taobao and Alipay accounts, the site is in Chinese by the way. So I'm taking it that I get savings on commish + shipping + cashback, which is great. Part 2 video is instruction on how to set up Alipay, even if you are not using Shopback it is still informative. I will give this a try if anything catches my eye there. The videos come in 5 parts so please view them for the complete tutorial. I use AliExpress for purchasing packing supplies, but this would only work for new accounts set up after 27 July 2016. Currently they are offering 5% cashback! 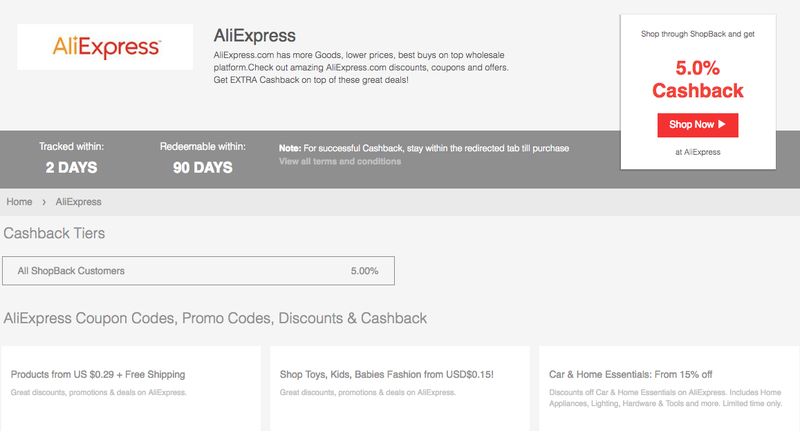 Click here to save with an Aliexpress coupon. One of the highest cashbackers would be Lazada.sg: they offer 2%-12% cashback depending on what you buy. Some of their popular products are listed on Shopback too. 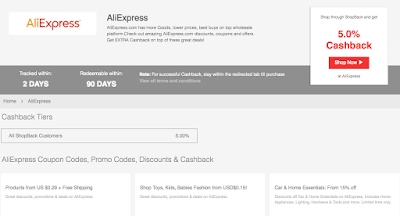 You can grab a Lazada coupon here. Lastly, check out their site at the upcoming 99 Cashback Day launching on 1 Sept 2016 for their 2nd anniversary! Shopaholics, give it a try! It's a smarter way to shop. if you want to sign up for Shopback! 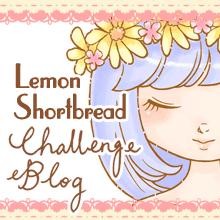 You can invite your friends for similar rewards after that, thank you so much and thanks for reading!